When it comes to relationships, Colin Singleton's type is girls named Katherine. And when it comes to girls named Katherine, Colin is always getting dumped. Nineteen times, to be exact. 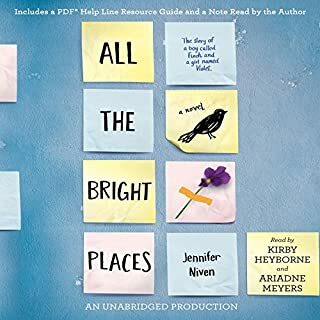 On a road trip miles from home, this anagram-happy, washed-up child prodigy has 10,000 dollars in his pocket, a bloodthirsty feral hog on his trail, and an overweight Judge Judy-loving best friend riding shotgun - but no Katherines. Hank freaking Green how have you done this to me?? 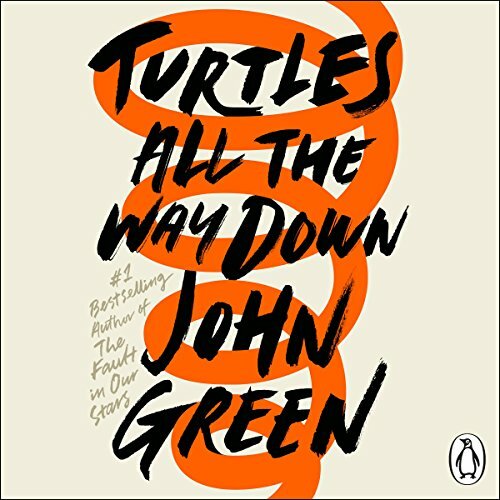 Penguin presents the audiobook edition of Turtles All the Way Down by John Green, read by Kate Rudd. 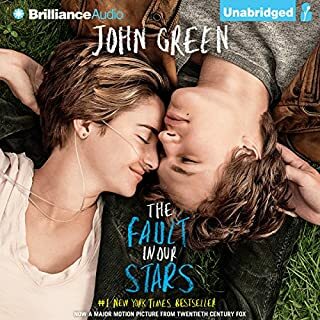 ©2017 John Green (P)2017 Penguin Books Ltd. I can't believe I've never read a John Green book before. I mean, have I been living under a rock? Well, technically yes, I've been bed bound with M.E for 4 years but that's besides the point, we have this thing called the internet now. Anyway, I digress. 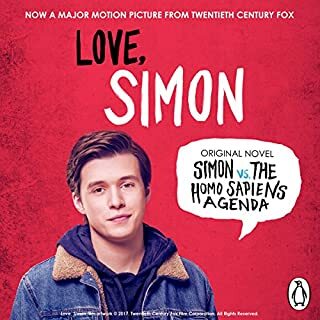 I absolutely loved this book! John Green writes so beautifully, nothing ever feels cheesey or overdone, it's all completely understated and very very emotional. I totally get why he's such a hyped YA author, I really really could have done with this book in my late teens, it would have helped a lot. There are some really relevant chronic illness quotes in there which hit me in the feels, putting it into words that I can't find myself. Other than that the whole book levelled with me on the whole mental illness thing, having one really is Turtles All the Way Down. You can always trust that a John Green book will have a strong underlying message, and Turtles All the Way Down is no exception. 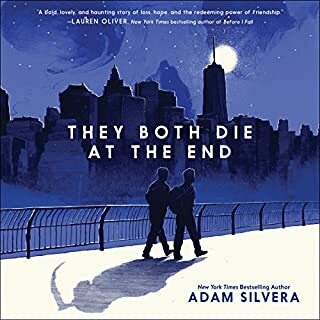 Beautifully and intelligently written, Aza is an unconventional main character who is charming with her flaws, and both Pickett sons are particularly important characters in their vulnerabilities. Green puts into words many thoughts and feelings I’ve always had difficulty describing. I was curious at the interesting title of this book, but it fits perfectly with the story, which kept me gripped the whole way through. 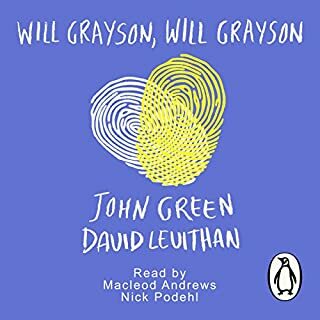 Slightly different from his previous books, this is a must listen for anyone looking to get into the mindset of someone with a mental illness in a really relatable way. 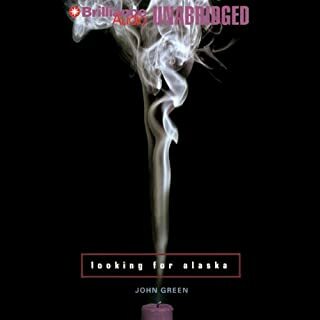 Another brilliant book by John Green, I highly recommend it for any fan of his. The narration is awful. I can’t listen anymore because the narrator sounds like she’s firing the words out. It’s actually stressful to listen to it. This was beautifully written, quite poetic at times and approached some philosophical concepts with heart. 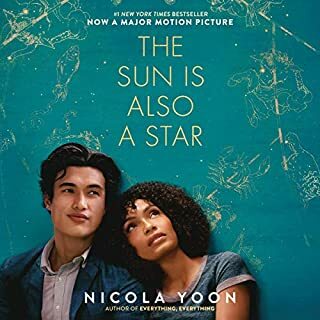 I appreciated that it didn't just rehash the expectations of romance and friendship stories (particularly within ya) and feel that adults, as well as young adults, would dig a lot of this novel. I didn't like Davis and felt he was a weak element in the novel. In part this was because he didn't do much / didn't really have much agency, but primarily it was because he would appear and spout philosophy. In essence his "holier than thou but pretending In super laid back and cool" attitude made me groan when he appeared, breaking from the more interesting and realistic characters. I wanted to punch him. It also took me quite a while to appreciate Daisy, the protagonist's best friend. For much of the novel she felt like a stereotype, but was redeemed. Some of the best moments in the book, for me, were between daisy and Aza. In contrast, I thought Aza was a very interesting character with a unique view of the world. Is invested in her development and connected with her relationship with her mother. She's philosophical too, but not in the "I'm going to tell you something important" way off Davis. I admit I found the story a bit lacking, in terms of plot. I think the author directly addresses this later when Aza confesses "I like the bits where the characters just talk". Really the plot was just a means for characters to engage with each other, but that's fine if you enjoy those interactions, which I mostly did. If you enjoy character led books with interested ideas, with friendship and personal hardship at the centre, I'm sure you'll enjoy this. 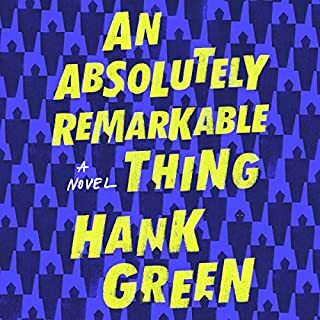 A very captivating read, which is what I've come to expect from a John Green story. I love his approach to the YA genre. It's totally unpatronising to young people and always deals with real, adult, stories with wonderfully rich characters. 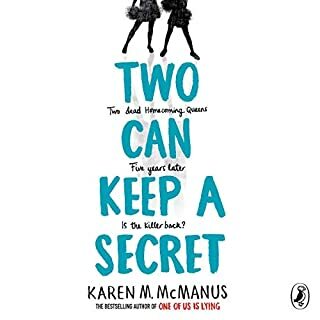 This book in particular has a mystery which runs alongside it in a kind of crime/YA crossover which works brilliantly. That said, as soon as I finished the book I forgot about it. 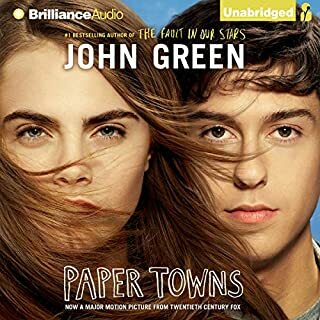 Can't place why but it's just not quite as captivating as other GREAT Green novels like TFIOS and Looking for Alaska.... still worth an audible credit though for sure! 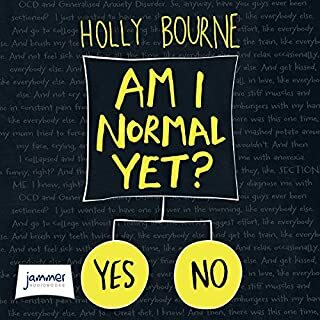 Compassionate story about a schoolgirl with mental illness. 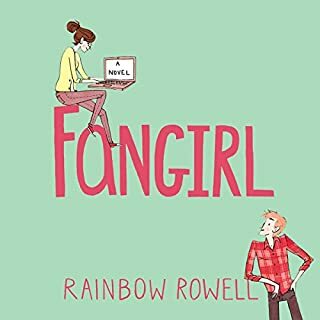 Interesting plot about how she struggles to relate to her best friend and boyfriend. Some memorable lines. Good characters. likely narration. A beautiful story about mental health and how we live with it. It took me a while to warm up to it, but got hooked around a third through. 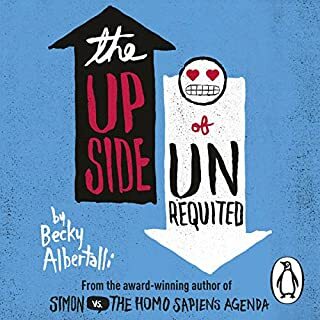 The book is full of thought-provoking reflections about society, but also of YA-clichés. One of the only things that ruined this book for me is the robotic narrator, who sounds like an answering machine. 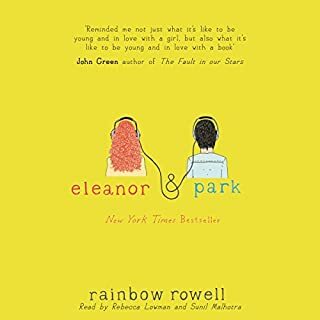 The overall story was really good and I loved daisy's chipper personality and voice done by the narrator, but the main characters voice was so robotic I often thought I was listening to a computer reading of the book! I know it's the same narrator but that voice grated on me throughout. 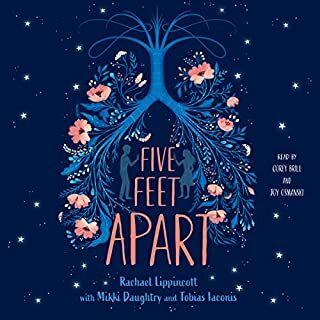 The story its self is basic enough but it's more about the disability and living with it, the inclusion of poems and quotes from all over through the character dialogue was a nice touch. As someone who suffers with anxiety and mild OCD I found myself going through those powerfull emotions with the main character, it never felt like the story was judgey or like it was trying to fix you it just understood you on such a deep level, I loved that. John Green is amazing at verbalising that raw emotion. Great book! 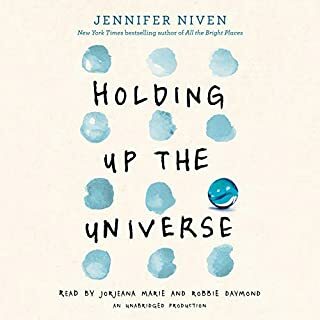 lovable characters and a fantastic insight into what life is like with obsessive compulsive disorder. A book that should be studied in schools. 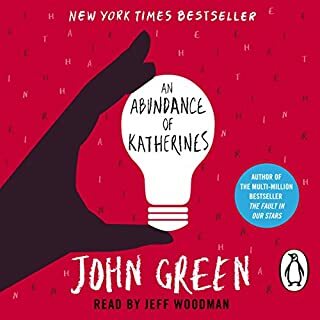 John Green is an incredible writer, and Kate Rudd a phenomenal orator! I'll be honest. At times I found this hard to finish. Not because it was a bad story but because it was so well done. John Green's portrayal of mental illness is so spot on, it made me feel not alone and also panicky... I really enjoyed it though. Amazing story and Kate Rudd's narration is compelling. John Green is fast becoming one of my favourite authors. 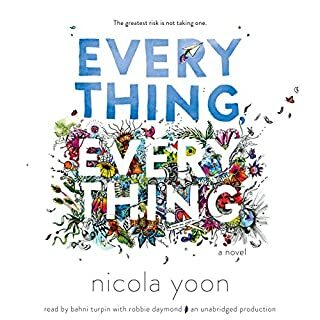 There are quotes and poems and feelings in this story that will stay with me for a long time. It’s a helping kind of hurt. I live this book and it’s pretty incredible how John green can make you never want to stop!!! Love John Green. Cried partway through this. Hated that she didn't get to stay with Davis but life does go on.